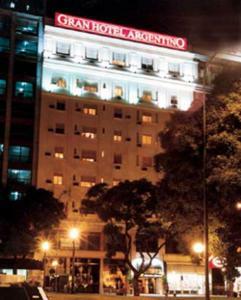 Gran Hotel Argentino, Buenos Aires discount hotels and accommodation. The pleasure of staying at our hotel, located on Avenida 9 de julio (the widest of the world), will make your visit to Buenos Aires an unforgettable experience. You'll find comfort and good taste in our huge rooms. On your arrival you will not hesitate in strongly recommending us. View photos, room descriptions and make online reservations at Gran Hotel Argentino. Save on room prices at Gran Hotel Argentino, Buenos Aires.